Chevrolet Suburban/Tahoe 2015, 2016, 2017, 2018, Full Interior Kit, 51 Pcs. Chevrolet Suburban/Tahoe 2015, 2016, 2017, 2018, Basic Interior Kit, 37 Pcs. Chevrolet Suburban/Tahoe 2015, 2016, 2017, 2018, Exterior Kit, Full Interior Kit, 12 Pcs. Chevrolet Suburban/Tahoe 2015, 2016, 2017, 2018, Basic Exterior Kit, 10 Pcs. Chevrolet Suburban/Tahoe 2015, 2016, 2017, 2018, Interior Kit, Optional Front Overhead Console For Models With Sunroof, 4 Pcs. 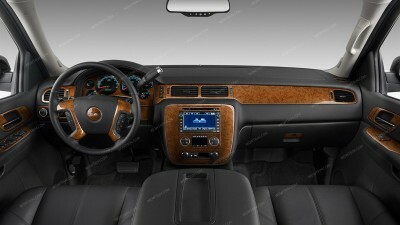 Chevrolet Tahoe 2007, 2008, 2009, 2010, 2011, 2012, 2013, 2014, Exterior Kit, 13 Pcs. Chevrolet Suburban/Tahoe 2015, 2016, 2017, 2018, Exterior Kit, Optional Fuel Door, 1 Pcs.